ORLANDO, Fla. - Dreams may come true down the road from here at Disney World. But even the biggest Celtics fans couldn't have thought their team would be perfect all season. "We're not going 82-0," coach Doc Rivers said. 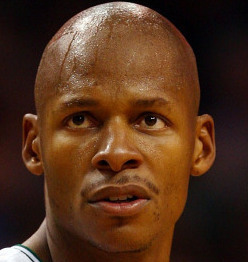 ORLANDO, Fla. - Guard Ray Allen typically hoists about 250 shots before games. When the Celtics go back to practice tomorrow, don't be surprised if he shoots more than that in hopes of getting his usually reliable jumper back. Allen missed 10 of 17 shots and 6 of 8 3-point attempts in last night's 104-102 loss to the Magic at Amway Arena. In the three games before the Orlando contest, the six-time All-Star missed 32 of 47 field goal attempts and 13 of 18 3-pointers.